For Photo Friday this week, I chose a picture that I took last Winter. I was really happy with this shot. 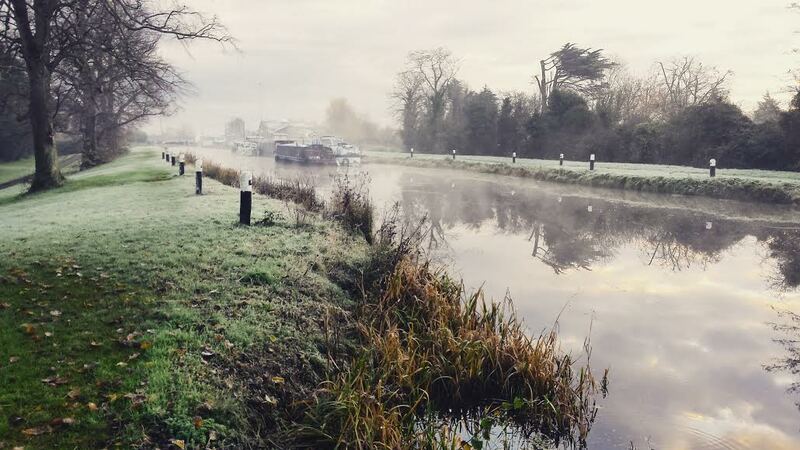 It truly captures the beauty of The Royal Canal Dublin and the eeriness reminded me somewhat of The Road by Cormac McCarthy. I feel very lucky to have this little oasis of calm beside my home especially when Dublin is such a busy, built up place. I found it quite dreamy. Then you mentioned The Road haha. Some day you will hopefully 😉 Thanks for stopping by !!! I remember the fall pictures and this one is just as beautiful! I want to visit Ireland. Oh, I love this picture! ^.^ The light frost creeping in from the water’s edge is so awesome! And the fog in the background… Beautiful picture, as always. P.s. I nominated you for the Book Fangirling Blog award! Thank you Melanie, I do love this picture. Every time I look at it, it brings me right back to that day. It was mesmerising !!! Oh my goodness that is such a gorgeous picture! !